Registration is now closed for this trip. View our other trips to see what else we have going on. This focus of this mission is two fold unity and prophetic evangelism! Unifying with the body of Christ in Ireland to combine fires of worship and prophetic street evangelism through music. We will go a soak up what The Lord has poured out through the Saints that have gone before us like St Patric and also visit the sight of Ireland's former 300 days and nights of continual worship. Also this will be a chance to make a generous deposit into this region of what The Lord has written on each team member. 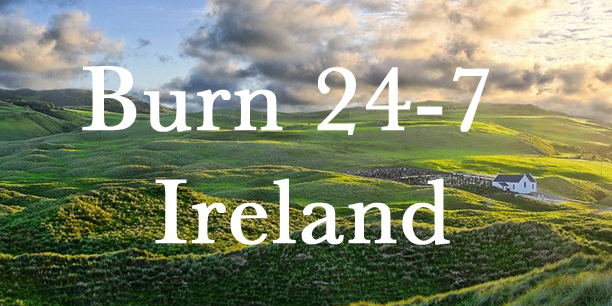 On this trip we will partner with the established burn crew there, Burn 24/7 Worship and Prayer Northern Ireland and YWAM to support them in what God had written on their region, burning with then and in the streets! For more information contact kattv@theburn247.com.